What mid-morning stress eating tends to look like. Bagel with cream cheese, Cinnamon Dolce Latte, and Advil. Sometimes I just can't help it haha. Watching my 12 year old brother pitch at his baseball game last Thursday. My 5 year old cousin Emma already knows LV is where it's at! She was modeling my bag at her brother's basketball tournament Saturday morning. Love this little ham! 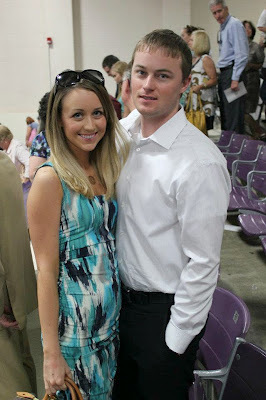 My dear husband and I at UCA's graduation Saturday afternoon. 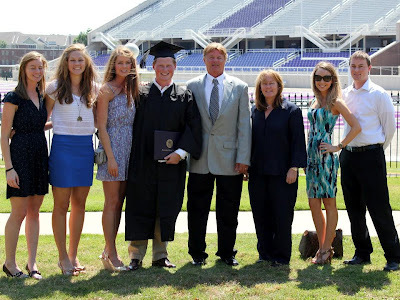 His sister's boyfriend graduated! Yay Josh! Sunday morning breakfast. Crescent rolls, stuffed with Nutella, covered in cinnamon and sugar, and baked. So yummy, totally bad for us, and so worth it! A little Sunday afternoon shopping. Found this Twelfth Street by Cynthia Vincent dress at Dillards for half off! 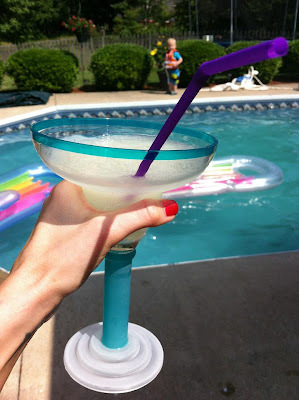 Finishing up our Sunday by my parents pool with margaritas! 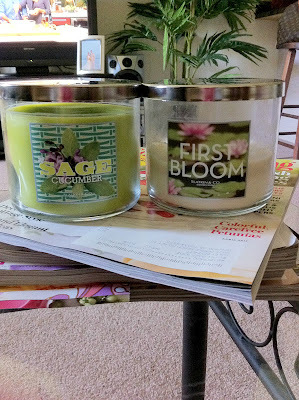 Favorite candles at the moment. How did you get the crossient rolls square? I've made nutella rolls before but rolled them up, so not as much nutella was in them as is pictured here! It would be so GOOD if I could get more in there! Ha! It probably is very bad for you though. I'm a 20 something newlywed living in the South with my husband. I have an un-natural obsession with beauty products and I'm constantly trying new things. I have the expensive hobby of decorating and you can find me at Hobby Lobby on any given day. I love my Husband, Razorback football, Gossip Girl, champagne, and shopping. I dream of one day owning a childrens boutique and maybe writing a book. I'm a health nut and I love working out. Every day I make a point to just get up and move. Whether it's running, rollerblading, hitting the gym, or hiking, I love it all! Big Clean-out Sale on MaryandDyer.com! I get most of my pictures from Google Images or other blogs. I am not paid by any companies to write about the products or designs I just write about the ones I really do love and use.